Feminine shaped frames combined with striking designs and bold color combinations are just some of the elements you will find in the spring 2016 ZIGGY® releases from ZIG Eyewear USA. Artsy optical illusions, unique color palettes and stunning textural elements make each piece an original design of our creator eyewear. This gorgeous frame (right) has some amazing features! 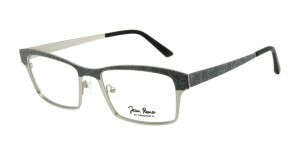 The frame is made from a light weight stainless steel with epoxy accents on the temples for those pops of color. The front features a stamped metal that gives it that beautiful pattern. 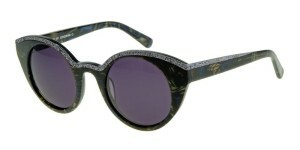 Cendrine O has added two new stand out pieces to her eclectic ZIGGY® Sunny collection. Based on classic cat eye shapes in exclusive color combinations, Cendrine has added her personal touch to five new additions, transforming classics into must-have wearable art. An extraordinary leopard pattern in rich amber adds perceived texture to the metal and acetate combination frames, giving an understated elegance to the Sunny 110 C2 design. There’s a sparkling silver lining to the ever-subtle cat eye frame, which sets off the dark frame of the Sunny 113 C2 with its rich patterned flecks of amber and blue. Contact your sales representative to see all of the Sunny designs! JEAN RENO by Cendrine O.
Jean Reno by Cendrine O. has a selection of sleek new designs that help the wearer (patient) make an easy transformation from day-to-night. 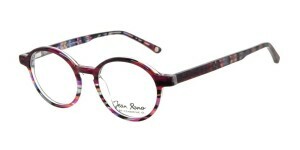 Inspired by the famous French actor, the collection is oh so chic and brings to life a 1960’s element of style. These sophisticated spring designs are enhanced with splashes of color, bringing together the all-important elements of line, design, color and texture. This exclusive and edgy eyewear pushes the boundaries of this season’s fashion trends, making them a must have on your fashion eyewear list. ZIG Eyewear, headquartered in Montreal, Quebec, has been creating and distributing designer eyewear for the Canadian and European markets for the past 10 years. 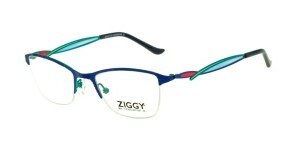 American sales and service team, ZIG Eyewear USA, is based in Madison, Wisconsin. ZIG Eyewear frames are sold at eyewear boutiques and optometric retailers across the United States.